How a High-Tech Office Helps Your Dental Treatment What’s the advantage of Invisalign®? 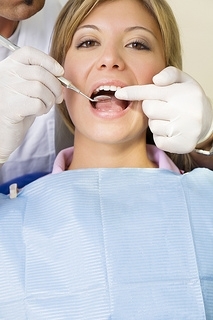 After a while, small dental concerns or issues can grow into an unexpected journey of discovery and expense. Anxiety is common and expected. Let’s discover first of all, “What brings you here today?” It is a good place to start and once the initial concerns are addressed, a comprehensive plan to restore optimum dental health can be arranged. During the first appointment Drs. Teresa Yagi and Lauren Ma and our team want you to feel comfortable, and establish a confidence allowing you to be open with any questions. The hygienist has a great eye for other conditions such as broken fillings, cracked teeth, active decay, and other dental concerns. Then, Drs. Teresa Yagi and Lauren Ma will come in for a comprehensive exam and list and prioritize your dental needs. Our treatment coordinator will present scheduling options, insurance coverage, and payment plans. Our patients at Kirkland Dental are our most important asset, and we strive to create a comfortable experience, no matter how long it has been since your last visit at our Kirkland office. From phone conversations to financial arrangements to clinical treatment, we want you to feel confident that our team will meet your needs.